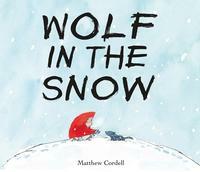 I was so excited when I heard the announcement that Matthew Cordell had won the 2018 Caldecott Medal for Wolf in the Snow. While not a retelling of the fairy tale Little Red Riding Hood, the inspiration for the book came from an illustration he had done of a little "girl in a red coat standing in a field of snow face to face with a wolf." 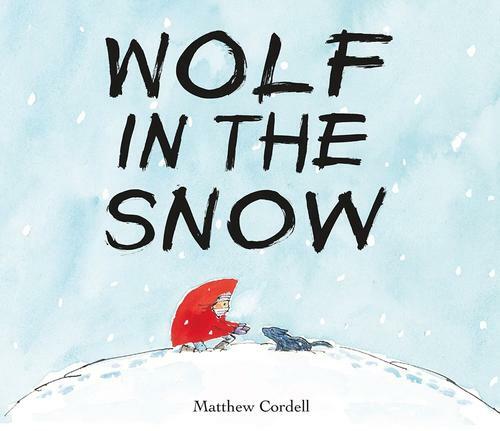 In Cordell’s story, the relationship between the girl and the wolf is one of respect and empathy – girl and wolf help each other after a wolf cub, and then the girl herself, get separated from their pack/family during a snow storm. I must confess that I have been crazy about wolves since I was a child, so besides loving Matthew’s art – sketchy, spontaneous, and deceptively simple ink lines filled with light watercolor washes – I was taken by a story where wolves are presented in positive light. 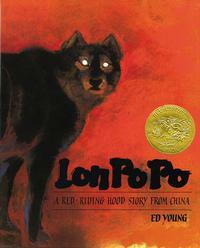 Wolves play a very different role in Little Red Riding Hood where they are cast as the villain. As one of the most popular fairy tales, there have been countless retellings of this story, with each illustrator bringing their own art style and interpretation to the tale. 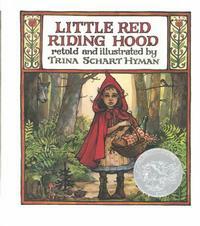 Take for instance Little Red Riding Hoody by Trina Schart Hyman which received the 1984 Caldecott Honor. A traditional retelling of the tale by the Brothers Grimm, the illustrations are heavily detailed and richly painted. There's also Lon Po Po: A Red Riding Hood Story from China, the 1990 Caldecott Medal book by Ed Young. The mesmerizing cover and beautiful art created using watercolor and pastels offers an unforgettable retelling of the story. For more retellings of this timeless tale, check out this booklist! You can find these books and more at your neighborhood library.